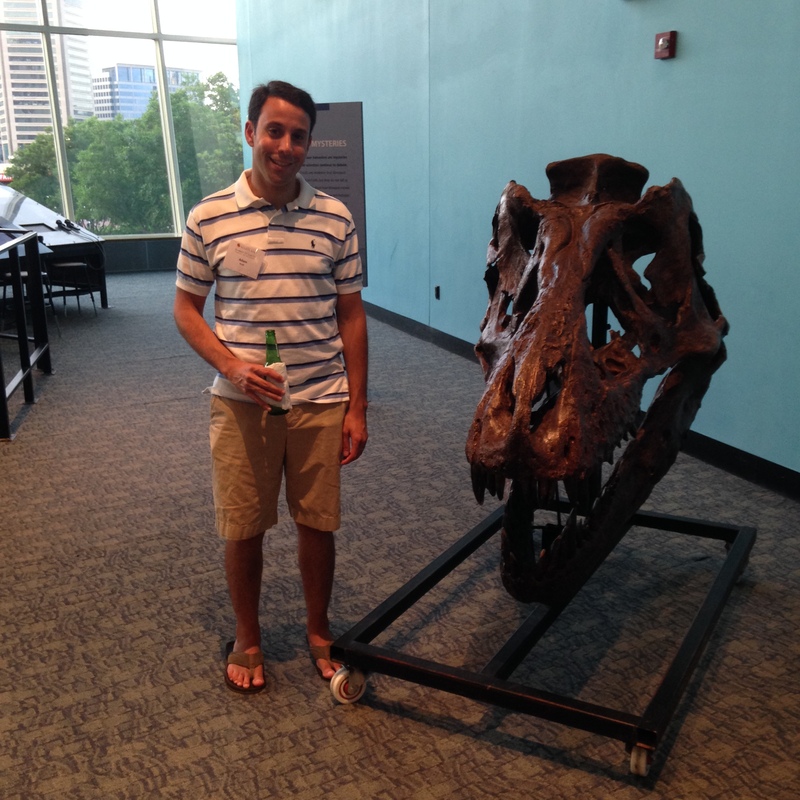 This past weekend, Adam and I attended a business school alumni event at the Maryland Science Center. We had been once a couple of years ago when we bought a LivingSocial deal for tickets, but jumped at the chance to go back after hours when there would be less crowds (and a cash bar!). All of the exhibits are hands on which is great for kids and young(ish) adults who act like kids. 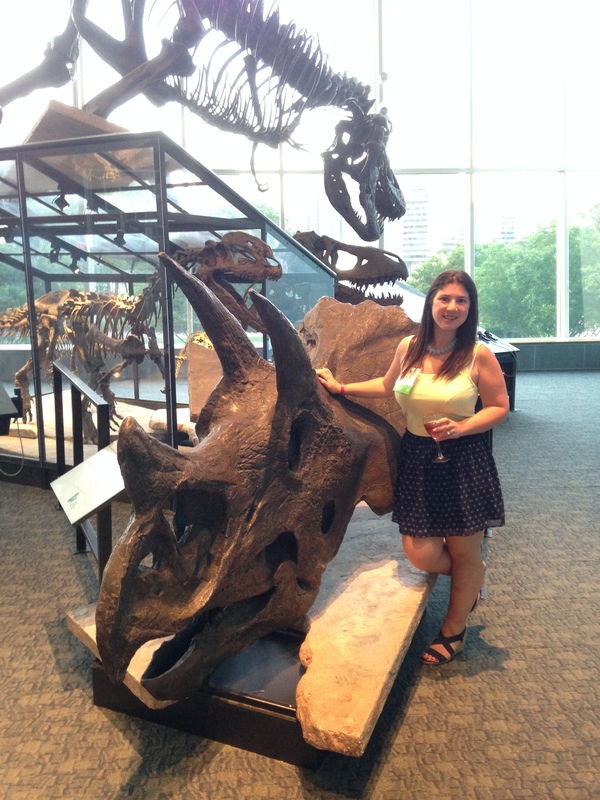 We got a beer and a glass of wine and meandered around the various exhibits. Of course we had to check out the Dinosaur Mysteries on the first floor and posed with our dino friends. Hooray for HANDS ON and being able to touch that Triceratops skull! 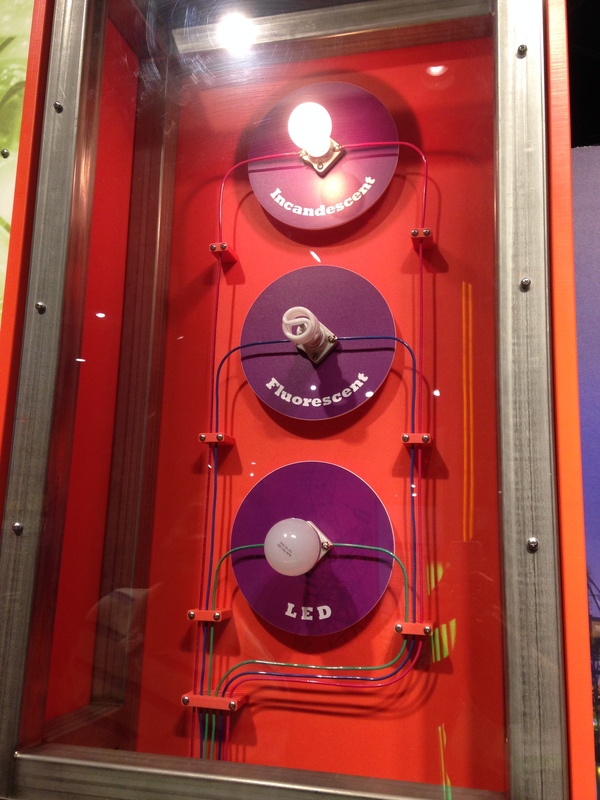 We also explored Newton’s Alley and the Power Up exhibit where we learned how much power is needed to light different kinds of bulbs. 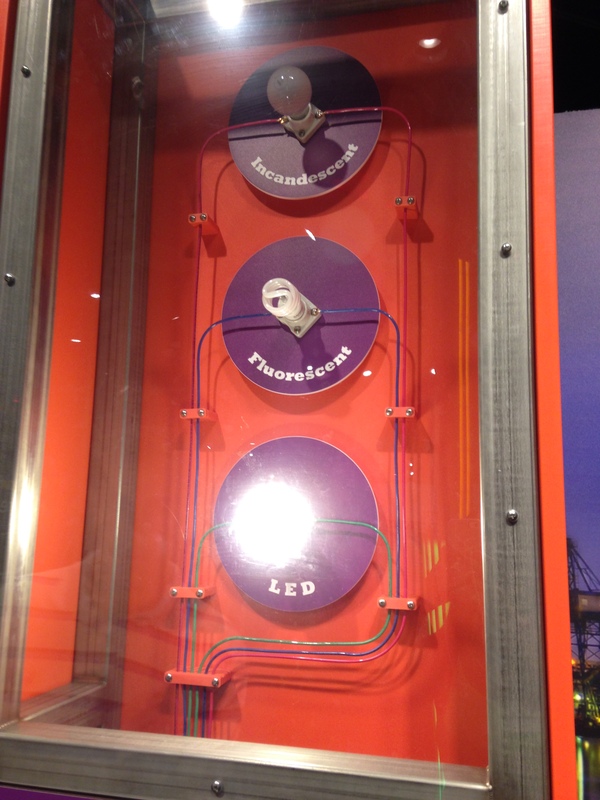 Spoiler alert – these LED’s were way more energy efficient than the incandescent bulbs. Part of my job right now is working with the NHL to educate their fan base on sustainability and we have been messaging about the benefits of LED bulbs so it was really cool to see this concept illustrated so simply and targeted at kids. Start ’em young on the sustainability train! Next, we headed to the planetarium to learn about everyone’s favorite former planet, Pluto! One of the Science Center’s employees walked us through a planetarium show about Pluto, why it is no longer classified as a planet and NASA’s New Horizons mission to photograph it. It’s pretty crazy that New Horizons, a spacecraft launched in 2006, is just reaching Pluto this summer. While the planetarium show was cool and the host was very knowledgeable and it was again interactive with people shouting out answers, I think I would have preferred a pre-recorded film. I feel like it is super relaxing to listen to a great narrator and watch the projected stars and planets move across the sky. 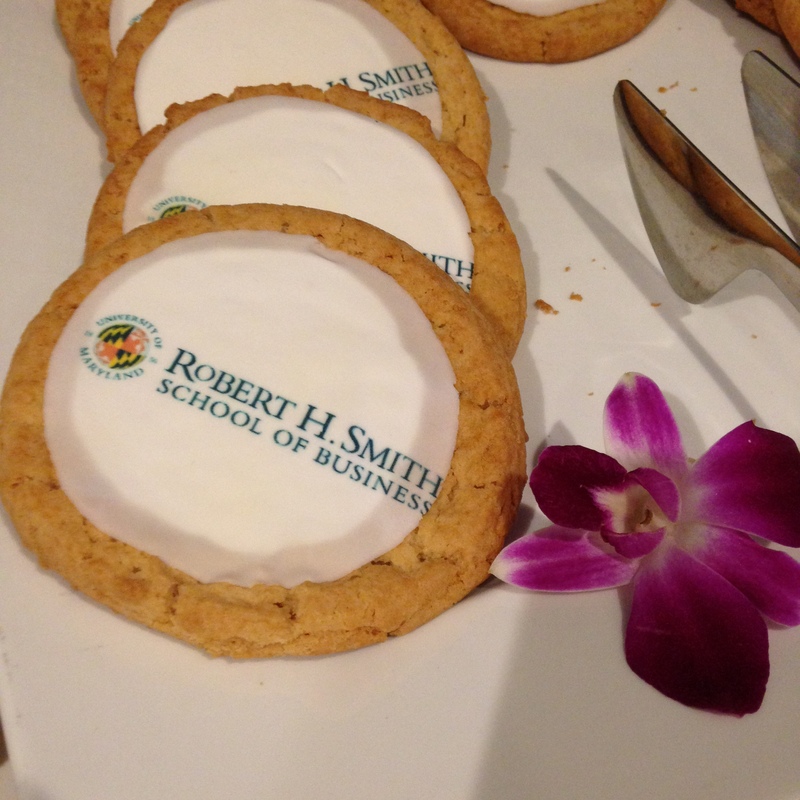 And of course, no b-school alumni event is complete without branded cookies! Pricing: Tickets for kids 12 and under are $16.95; Adults are $20.95. Pay $4 more to see an IMAX film. Highlights: Hands on exhibits where kids (and adults!) are encouraged to take an active role in learning about dinosaurs, space and Maryland ecology. Worth the extra $ to see the IMAX. Friday Five (things I can’t wait to do this summer in Baltimore)!